Your genetic makeup is the beginning point of the allergy chain reaction. It determines how your immune system works to produce antibodies and defend itself against harmful substances or organisms like bacteria and viruses. Unfortunately, the immune system sometimes mistakes a typically harmless substance for a dangerous one and starts the defense process that causes an allergy. The source of your allergy is called an allergen. When your immune system recognizes an allergen, it stimulates cells to release chemicals that produce changes like increased blood flow, tissue swelling, and mucous membrane irritation. Medication reactions – reaction due to an actual immune system response is rare, but possible. Most medication related issues are called “non-allergic reactions” or “adverse reactions” but still can have serious consequences. Anaphylaxis - a serious allergic reaction that is rapid in onset and may cause death. It typically causes more than one of the following: an itchy rash, throat or tongue swelling, shortness of breath, vomiting, lightheadedness and low blood pressure. A common group of symptoms is grouped under the term rhinitis, including inflammation of the nasal mucous membranes, sneezing and runny and/or itchy nose caused by irritation and congestion in the nasal passages. There are two types: allergic rhinitis and non-allergic rhinitis. Allergic Rhinitis: This condition occurs when the body's immune system over-responds to specific, non-infectious particles such as plant pollens, molds, dust mites, animal hair, industrial chemicals (including tobacco smoke), plus some foods, medicines, and insect venom. When this occurs, sneezing, congestion and itchy, watery eyes usually result. Late March or early April: Sensitivity to tree pollen produces symptoms. 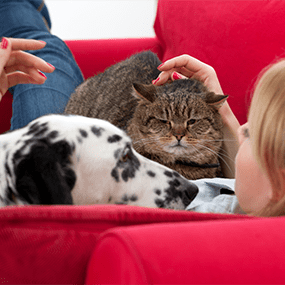 Perennial Allergic Rhinitis: This type occurs year-round and can result from sensitivity to pet hair, carpeting, upholstery, and mold on wallpaper, houseplants, and other locations inside. Non-Allergic Rhinitis: This form of rhinitis bypasses the immune system and is not due to an allergic reaction. Symptoms are triggered by environmental irritants like cigarette smoke, pollutants, strong odors, alcoholic beverages, and cold temperature. Other causes may include blockages in the nose, deviated septum, infections, and over-use of medications such as decongestants. 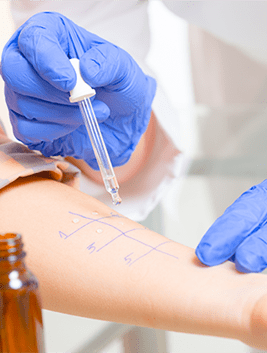 Diagnosing an allergy is more complicated than simply administering a skin prick test or taking a blood sample and sending patients away with a prescription. Two key steps in the process of allergy diagnosis are the medical history and allergy test selection. A detailed clinical history is essential for diagnosing an allergy correctly. Also required is current information on past and current treatments and medications. The details revealed in the medical history plus a physical exam will help determine the specific allergens to use for the next step. We use the skin prick testing method to screen for the most common allergens found in the Washington DC area. Skin testing allows us to determine exactly what you are sensitive to, as well as the relative severity of your reaction. The test results will enable Dr. Khanna to design a treatment plan tailored to your individual allergies, symptoms and lifestyle. 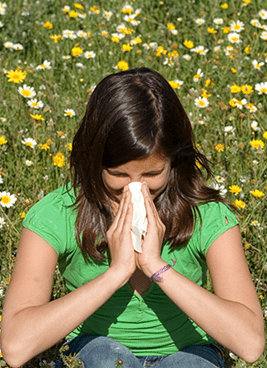 Different approaches to treating allergies allow for the most successful outcome. 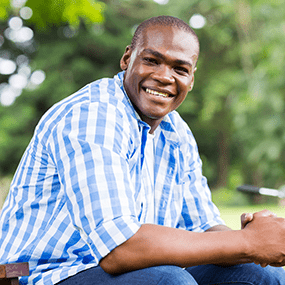 Your personal treatment plan may include one or several methods. Staying indoors during peak pollen times. Your allergy and rhinology experts at Capitol Sinus & Allergy will identify your allergies and help you get them under control! Find Out if You Are a Candidate for this Advanced and Remarkable Procedure. Contact us to schedule an evaluation, testing and treatment. Run don't walk to see Dr. Khanna. Hands down one of the best doctors ever! Dr. Khanna is an excellent doctor. He is highly skilled and professional. Dr. Manish Khanna is very patient listener and he takes the time to listen to your issue. You never feel you are rushed and he would explain everything in details but make it so simple so you really understand everything. Caring, considerate, listens, spend quality time with you and explains everything so I could understand it. Really liked him and glad I chose him. Would highly recommend him. Really liked him, great bed-side manner, very personal, caring, direct and informative. Takes time to explain everything and options. Would highly recommend him. Dr. Khanna has excellent bedside manners and he listens. He goes out of his way to assist his patients. He is honest with his patients if he has to make referral. Dr. Khanna is extremely knowledgeable and caring. In my opinion he is the best ENT doctor in NOVA. He listens to his patients, recommends treatments and then reviews all other alternatives. It is a comfortable feeling to know that your doctor is always there for you and Dr. Khanna is! Dr. Khanna also has staff who are caring and responsive. Outstanding friendly doctor and staff. He was very friendly and didn’t rush me at all. Everything is digital. The appointment scheduling and patient forms. They have coffee and chocolate. Couldn’t be a better experience. Dr. Khanna is intelligent, respectful and genuine. He's always up-to-date on the latest medical breakthroughs. Me, my husband and daughter are all patients of Dr. Khanna, and always will be. I came in with an unending sore throat, and was in to see the Doctor and left with a diagnosis in record time. Dr. Khanna and his staff were professional and efficient. I will definitely come back if I have any other sinus issues and highly recommend. My visit with Dr.Khanna was nothing short of amazing! His bedside manner was excellent and he took the time to explain everything in detail. I love the fact there was a CT scanner in office so I didn't have to leave and then come back for another appointment everything was looked at my first visit. I recommend him and his office to everyone!!! I have been to several ENT Dr's throughout the country and this is by far my favorite office! The paperwork for new patients was done online (very simple even if you aren't tech savvy) so you don't have to show up early to fill everything out. They got me right into the examination room. The staff was amazing and making sure you are comfortable. They were very helpful and knowledgeable. Dr. Khanna took his time to explain everything in depth, using visuals to help me understand what he was seeing and saying. He didn't just throw around a bunch of big words that I didn't know. I will be traveling to from NY to DC to go here for all ENT issues. This is how impressed I was with their professional service. I highly highly highly recommend this office! 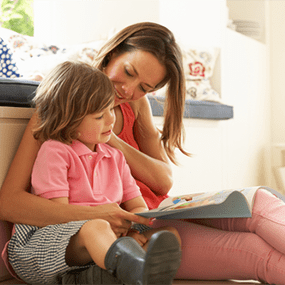 We offer full ENT care for adults and children, with specialties in the diagnosis and treatment of sinus and allergy issues.We treat each patient as the most special and important visitor that we see.